Since there are many events in meeting rooms from face to face interviews by presentations to large conferences, it is very important to gather attention in this areas. On the other hand, the design and the lighting of this areas reflects the company culture to guests by different way. Meeting rooms and conference halls requires 500 lux light level. Unified glare rating 19, uniformity should be minimum 0,60. It is recommended that the color rendering index should be 80 or higher. 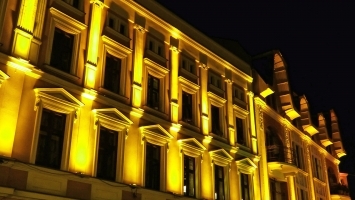 A special demand in such areas is that the lighting can be controlled. Lightings which equipped with control systems, offers flexible lighting solution while using the meeting rooms. Ceiling lights is very important for general lighting. For this purpose efficient 4×14 or 4×18 fluorescent lights can be used as well as higher efficiency LED panels. Central lighting is extremely important in meeting rooms and conference halls. Insufficient light makes eyes tired and loss of concentration. On the other hand good lighting increased concentration. Wallwasher luminaires can be used in order to lighting the walls. Spotlights can also highlight the important areas, various lighting schemes can be created. 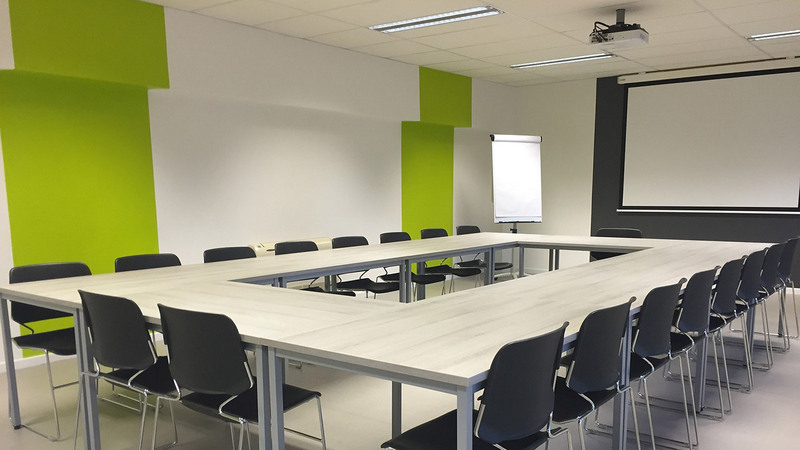 Different activities such as taking notes, making presentations and chatting can be done in the meeting room. These different events lead to different lighting needs. According to the activities, you may need a control system and a control panel where you can change the lighting scenario. For example, it is necessary to see the face of a presenting person clearly during the presentation. This light can be switched on at any time with a good control system, can be switched off at any time. Dimmable (brightness changeable) lighting should be preferred in such halls. Thus, you can reduce the brightness of light while presentation. In this way, you can draw attention to speaker and you also provide enough lighting for the participants to take notes. You can switch off all lights for video presentations which will increase the visibility of the screen and attract attention. Meeting rooms are places for evaluate the important business opportunities. Therefore an elegant indoor design will help you to gain guests confidence. Lighting is also the part of this design.